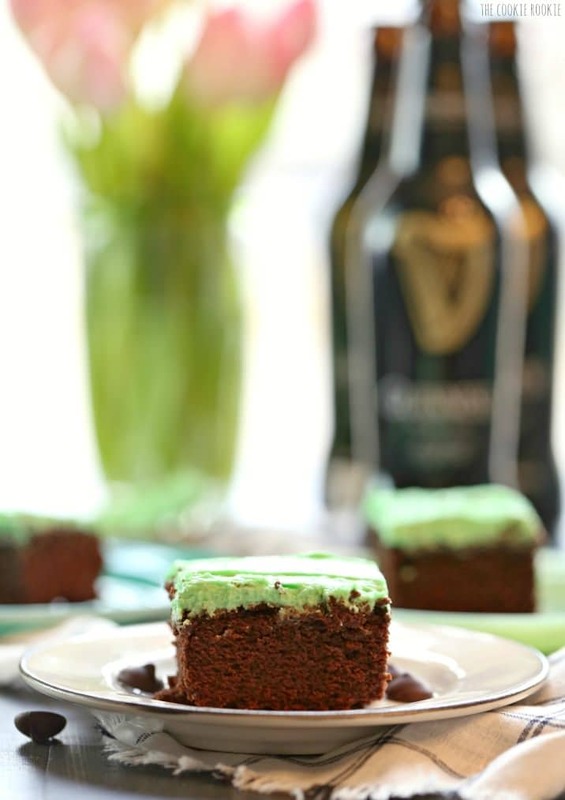 Simplified Mint Chocolate Guinness Brownies are the hit of any Saint Patrick’s Day party and are delicious year round! My very FAVORITE holiday is coming soon!!! I think because I have red(ish) hair and virtually translucent skin, I have always loved Saint Patrick’s Day. Redheads look best in green! Takes me back to my roots. A couple years ago my family was able to travel to Ireland for vacation and it was the trip of a lifetime. We had fabulous food, saw the most beautiful landscapes I’ve ever seen in person, and drank Guiness from the tap (in very small quantities haha). It was so fun. 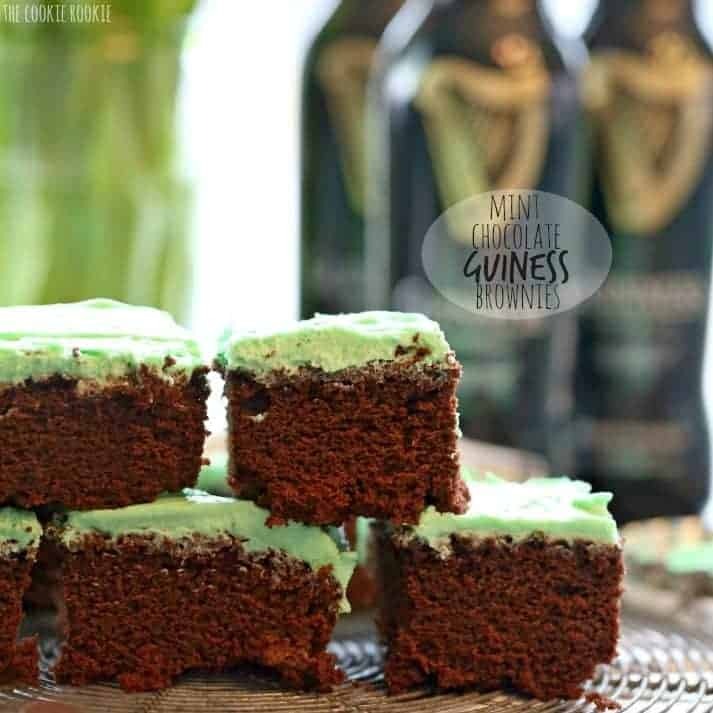 Guinness might not be quite the same in bottle form, but it’s still an Irish classic that pairs surprisingly well with your favorite brownies! 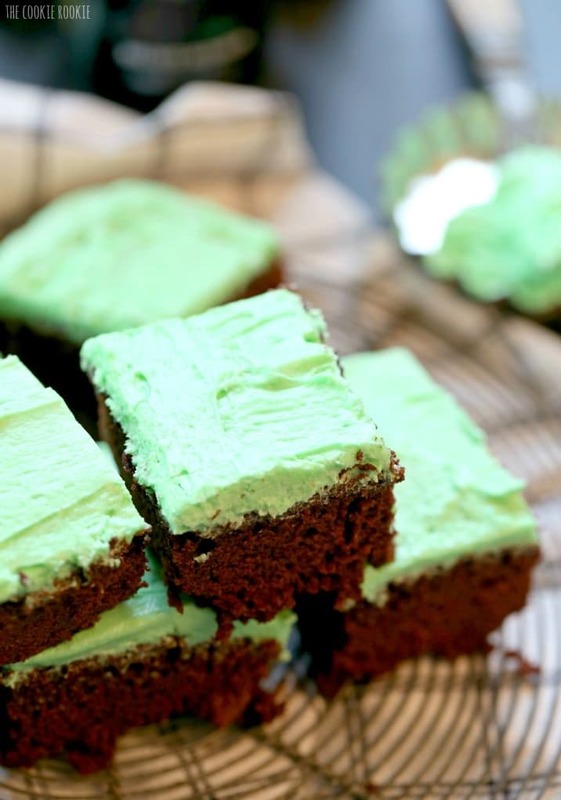 Add some mint icing on the top, and you’re set! Don’t be afraid of the Guinness. 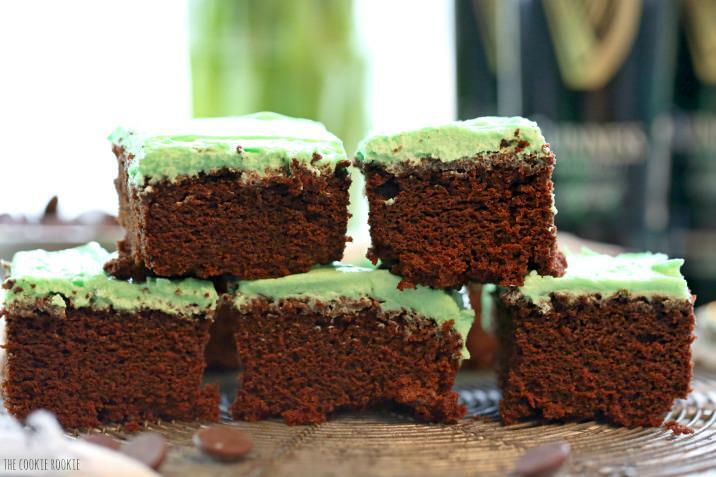 It doesn’t make the Mint Chocolate Guinness Brownies taste like beer. It just adds a fun depth of flavor that I know you’ll love! 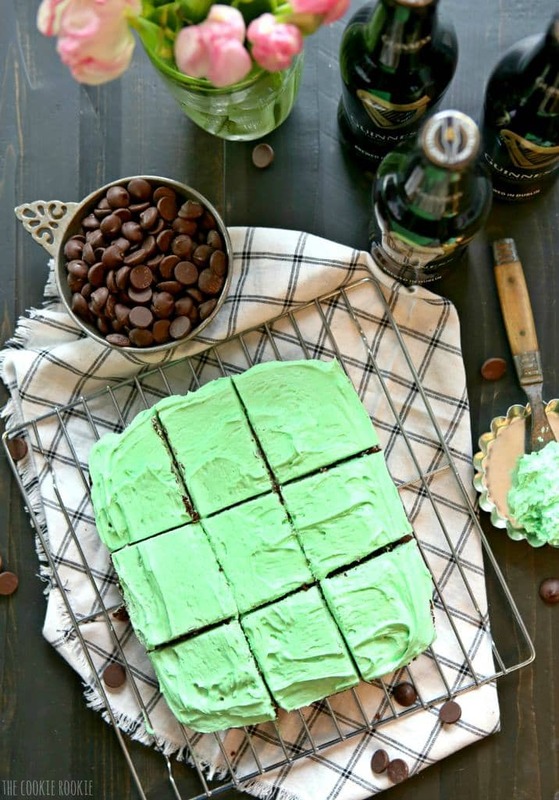 These rich, perfect, festive brownies would be the hit of any St. Patty’s Party! The icing I made for this is super quick and easy. 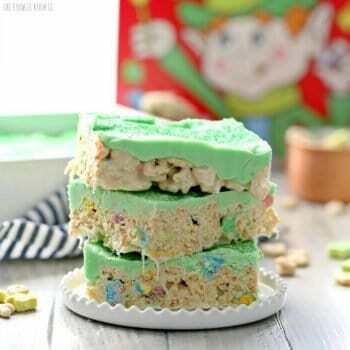 The food coloring is optional, but makes them extra fun for the holiday. 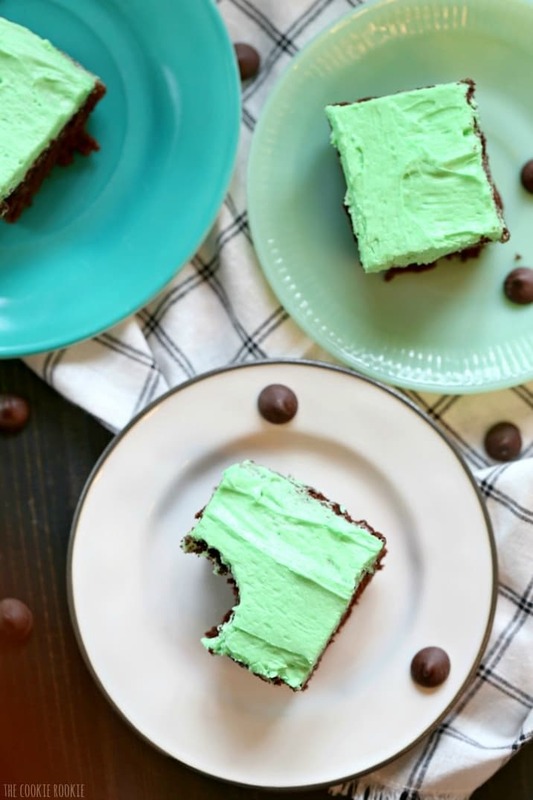 Leave off the food coloring for the rest of the year and you still have a delicious mint chocolate dessert! Two of my favorite flavors! 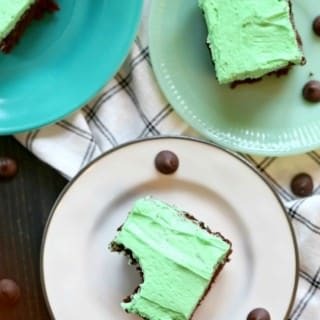 These brownies are honestly good for any time of the year, but the green food coloring makes them a little more festive for the holiday! Heat Guinness in a small saucepan over medium/high heat for about 12 minutes. You are making a reduction, so the beer should reduce to about 1/3 cup in this amount of time. Take off of heat and set aside. Mix brownie box ingredients according to package instructions. If the box gives you the option of fudgy vs. cake brownies, go with fudgy. Add Guinness reduction to batter and stir completely. Add chocolate chips and stir to combine. Cook brownies according to package instructions. Using an electric mixer, beat butter until creamed. Add in the powdered sugar one cup at a time. Add milk and continue to beat until fluffy icing forms. Add in the mint extract and food coloring (optional). Once brownies are completely cool, Ice with icing and place in the fridge for 30 minutes to allow the icing to set. Hey Karrie, I actually barely ever bake if you can believe that. I started this blog as I’m learning to cook, two years ago I couldn’t even scramble an egg lol. So I’m kind of taking baby steps into the baking world. 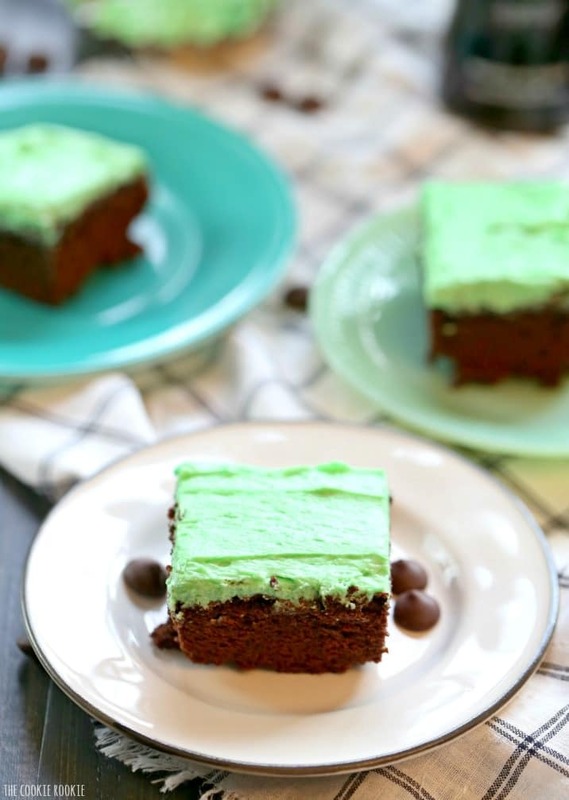 This would work with any of your favorite brownie recipes. I just didn’t want to be insincere and not be honest that I used a mix. Hope that makes sense! Thanks SO much for stopping by! Ha!! You crack me up! 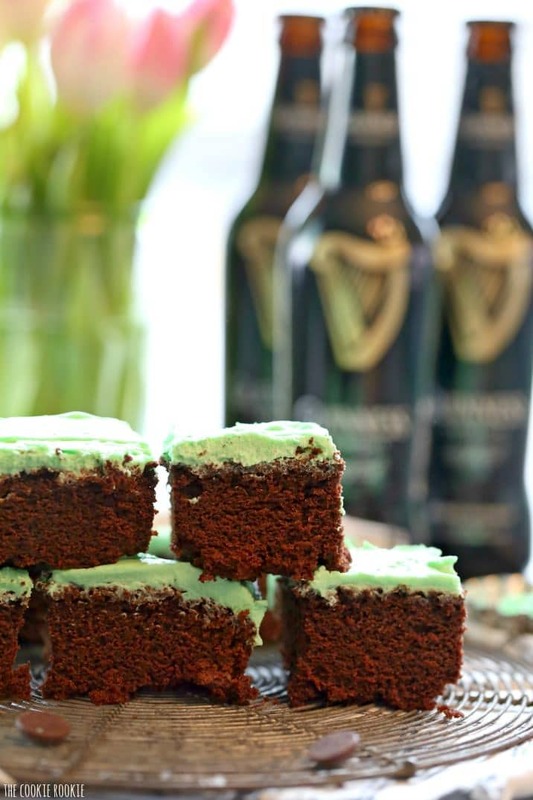 I love how you used Guinness in these. I love cooking with beer- it adds such a nice depth of flabor to any recipe! 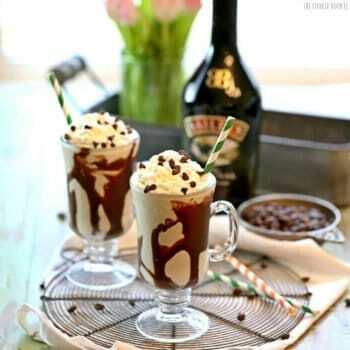 I love how you used Guinness in these. I love cooking with beer- it adds such a nice depth of flavor to any recipe!